Paul Davis On Crime: Apologize For Hiroshima? Hell, No! My late father was an Underwater Demolition Team (UDT) frogman during World War II. The UDT combat swimmers cleared the way for the U.S. Marines to take the Pacific islands back from the Imperial Japanese. I recall him telling me about an intelligence briefing where the UDT men were advised that the losses they would sustain during the planned invasion of mainland Japan would be catastrophic. The deaths of millions of U.S. military men, as well as Japanese military men and Japanese civilians, was avoided due to the dropping of atomic bombs on the cities of Hiroshima and Nagasaki. It took the devastation of this weapon to finally force the proud Japanese to surrender unconditionally. I believe it would be a disgrace if President Obama apologizes for the U.S. dropping of an atomic bomb on Hiroshima when he visits the city. It would be an insult to the men who died during the war, which Imperial Japan began with their sneak attack on Pearl Harbor. It would also be an insult to the men who survived the war, like my father. Stu Bykofsky, a columnist for the Philadelphia Daily News offers his take on the presidential visit to Hiroshima. We gather in this place draped in death and sorrow to respectfully remember those who perished here almost 70 years ago. Speaking for the United States, we have regrets. We regret that, 75 years ago this December, Japan killed more than 2,400 Americans in an unprovoked attack against the United States in Hawaii. That's my home. It's fairly clear, if only evidenced by his column, that Stu Bykofsky will not be hired as a Presidential Speech Writer. That's OK by me - he did a nice job outlining the context and relevancies around the Hiroshima bombing. Monday, 8DEC, by so-doing he forever escaped the West Virginia mine where he worked since 1930 at age 14. D-Day was perversely a day of Emancipation for him, having been carried off the beach with a bullet in his knee, and never again having to fire a shot in anger. His purple heart confirms that he survived his combat wound and I saw a doctor's letter advising that he not return to mining because he had lost 35% of that function in his left knee. Also objective, horribly so, are the facts that the Allies pounded Dresden and other German cities, as well as the Japanese cities cited by Bykofsky. Perhaps less objective, is that death by dehydration (covered by rubble) and "conventional" burns may be more horrible than death by nuclear bomb in all its forms. A now an opinion: If given a choice, with no chance to escape, I'd choose a rapid nuclear death over dying by starvation in a Japanese POW camp (like Changi where James Clavell survived thanks to Little Boy and Fat Man). It is beyond dispute, if perversely so, that that "Boy" and "Man" saved many more lives than they extinguished. 1) Those bombs saved the "right lives" - those of American and Allied Soldiers. 2) One of the fundamental duties of the Sovereign - elected or not - is to value his "subjects" lives over those of the enemy. The latter is so elementary, so central, that it is only an opinion in the minds of certain extreme elements of the Western Polity. 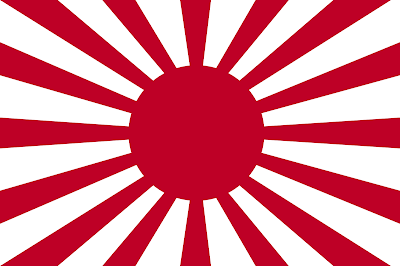 The Japanese should honor President Truman for understanding that.